Protocol states and device configurations available in data tables or network topology diagrams. How can I quickly get a full snapshot of my network, including all the changes that we're implementing every day? How do protocols and technologies fit together in my network? How do I present this and share the data with others on my team or my customers? Our plug & play solution that provides powerful mapping and visualization options for organizations with sizable enterprise networks. Once IP Fabric has run its discovery process, it quickly verifies all routing and switching protocols on the network and charts them out on highly interactive network topology diagrams. 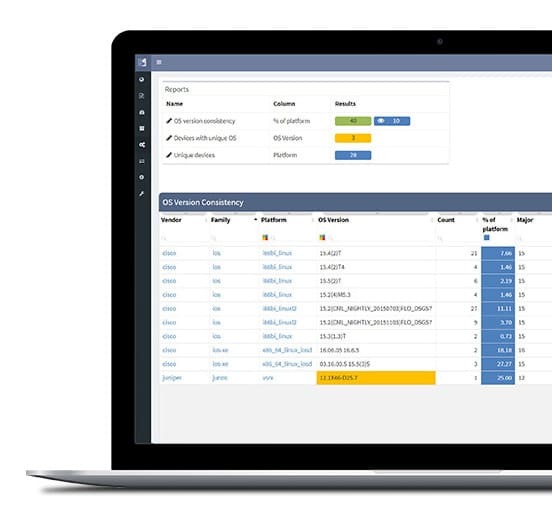 IP Fabric provides detailed technology visibility and drill-downs on dynamic network maps, which help users grasp the physical and logical connections between infrastructure devices in your network. These maps can be exported and shared with your team, so that you can help keep everyone on the same page. IP Fabric uses tables to structure the data so that it can be easily searched, filtered, and sorted. The platform provides a detailed structured information table for each technology or protocol, and tables are standardized across all supported vendors and families. Within the tables, users can easily search and create customized verification filters on any information. IP Fabric supports technologies like ARP, MAC table, device inventory, QoS, switching and routing, VLANs, MPLS and many more. 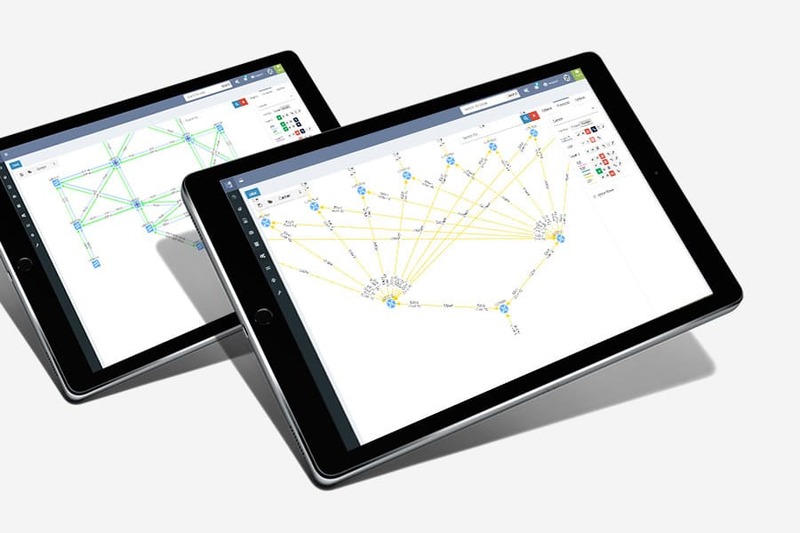 Network visualization and dynamic network mapping are necessary for troubleshooting, visualizing individual technologies, and protocols that enable you to plan changes, troubleshoot connectivity issues, and document the entire network. Other network visualization options, like end-to-end (E2E) path mapping, are also available. With E2E path mapping, including all the balancing and forwarding decisions and security. You can map application flows and visualize their path across the network. It’s time to say goodbye to incomplete, outdated and manual network diagrams, and say hello to IP Fabric.